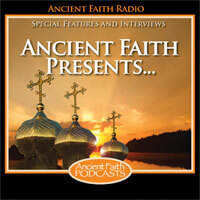 On a special edition of Ancient Faith Presents, Elissa Bjeletich, the host of the AFR podcast Raising Saints, interviews Melissa Naasko, the author of Fasting as a Family: Planning and Preparing Delicious Lenten Meals, published by Ancient Faith Publishing. Elissa talks with Dan Bein from Orthodox Christian Fellowship about this important ministry for college students. Elissa discusses how the parish and Sunday school can help support the family throughout Lent. Bobby Maddex interviews Elissa Bjeletich and Caleb Shoemaker, the authors of the new AFP book Blueprints for the Little Church: Creating an Orthodox Home. How do you make fasting a beautiful and natural part of your home?